The Department for Transport (DfT) has provided some clarification as to how its £2m funding will encourage the take up of e-cargo delivery bikes. 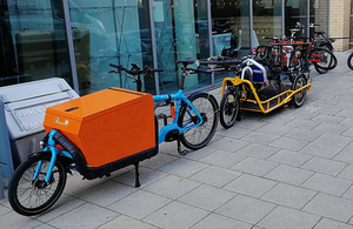 Last month the Government announced a £2m ‘grant’ to support the uptake of e-cargo bikes but gave no details of how the cash will be distributed. The Department for Transport has said the funding will contribute 20% of the purchase price of new e-cargo bikes, up to a maximum of £1,000 per bike. Funding will be conditional on individual businesses following a code of cycle safety good practice, the DfT said. Cycling UK policy director Roger Geffen welcomed the move but said: ‘Cycling UK remains mystified about why the Government is wholly unwilling to support electric bikes for personal travel, while continuing to offer generous support for electric cars and scooters. Peter Eland, the Bicycle Association’s technical manager, said: 'This is a welcome and timely announcement, providing substantial support to an increasingly important sector of the cycling industry.